I’m sitting crossed-legged on the floor of a modest walk-up in the West Bank. Dressed in knee- and shoulder-covering attire, I’m sweating in the desert heat. Our group exchanges awkward smiles with our Palestinian hosts, listening to horror stories of Israeli settlers throwing rocks at their children. While cowering behind glasses of sweet tea, we wonder how to elegantly phrase the question that’s on everybody’s tongue. Everybody laughs—although, really, it isn’t funny. I’m in H1, the Palestinian-controlled sector of the city of Hebron. 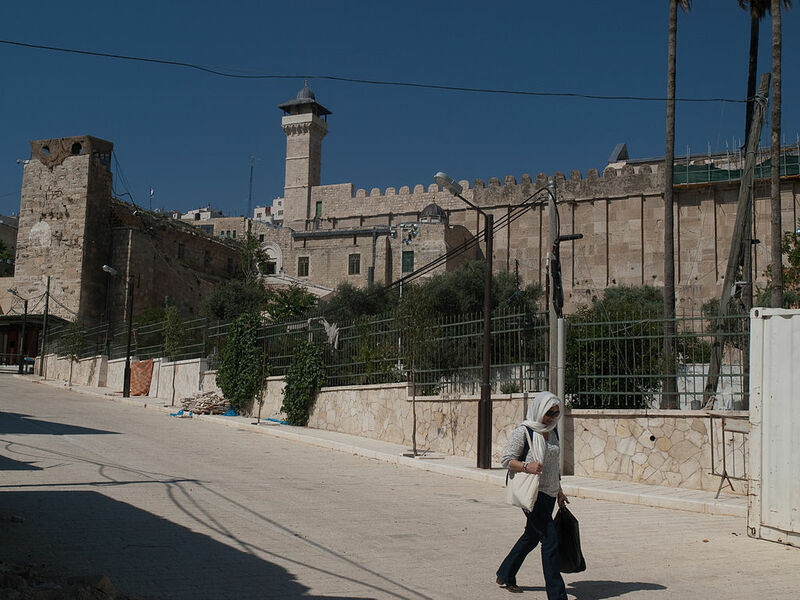 Hebron is a hot spot, situated on Palestinian land yet partly occupied by Jewish settlers believing theirs is the sole right to this sacred turf, which is allegedly the burial ground for the biblical patriarch, Abraham. Tourists are not typically allowed here due to the conflict, but I’m with a unique “Dual Narrative” tour led from Abraham Hostel in Jerusalem. Later this afternoon we’ll be in H2, controlled by the Israeli army, to chat with the settlers. It’s hallowed ground for all three Abrahamic religions. According to the Book of Genesis, Abraham purchased a plot of land in present-day Hebron to be used as a family sepulchre. The Second Book of Samuel claims David was appointed the king of Israel in Hebron, and made it his capital for seven years. Muslim tradition likewise views the city as the final resting site of Abraham, and believes it to have been a point along Mohammed’s journey to Jerusalem. The area was subsequently ruled by King Herod, the Byzantines, the Crusaders, various Muslim dynasties, the British and the Jordanians. By the early 1900s, the population of Hebron was predominantly Muslim Arab with a small Jewish community; however, most of the Jews fled during the periods of political unrest in 1929 and again in the late 1930s. After the Six-Day War in 1967, religious Jews began resettling in the area. During the Oslo Accords, Hebron was split into zones H1 (which forbids Israelis) and H2 (which is subdivided into Israeli and Palestinian regions). Despite their small population, the settlers heavily influence the area, and tensions between them and the Palestinians sometimes escalate into violence. The rest of Israel is divided over whether the settlers have the right to be in Hebron or if they’re obstructing the peace process. “They threw a snake into my baby’s room!” exclaimed a woman. When we gasped in shock she too presented evidence: a dead snake preserved in a water bottle. Our Dual Narrative tour began in H1 at the Ibrahimi Mosque before continuing to the Casbah—the old Arab city located below the Avraham Avinu settlement. Chicken wire stretched above the bazaar is littered with bleach containers, sharpened combs, glass bottles and other debris. Shopkeepers gestured repeatedly that the rubbish is thrown down by the settlers. “We had to put up the wire. People were getting hurt,” explained M.
We then visited the private homes of a few families, the first of which offered us a traditional luncheon and tea. Our hosts seemed shy at first, but they grew impassioned when sharing their stories of settler interaction. If politics and religion are individually volatile topics, together they’re enough ideological TNT to blow up even the most open-minded dinner party. While liberal millennials often adopt similar political stances (Donald Trump is what’s wrong with ’Merica; Stephen Colbert is a demi-god) and eagerly discuss their views amongst themselves, there’s still one subject many avoid unless certain of the company they keep: The Israel/Palestine conflict. Don’t get me wrong, it is complicated—and I’m not saying you have to “pick a side” as I don’t believe that’s where the solution lies. But if you’re keen to learn more, overwhelmed by media bias and interested in backpacking through the Middle East, then this Dual Narrative tour is one (safe) way of receiving a firsthand perspective. In H2 we tour the Jewish side of the Cave of the Patriarchs, the Avraham Avinu quarter and a few other sites. Unlike H1, which is substantially more rundown than the rest of Israel, H2 is bright and well maintained. Our Jewish guide, A, is an amicable New Yorker. But while M speaks from the heart, A uses phrases like, “The Jewish settler perspective is…” thus keeping his opinions covert. I’d be lying if I said the Palestinians’ friendliness didn’t make it easier to sympathize with them. But as M pointed out, there is hatred on both sides—just as there are individuals desiring peace. Unlike the largely welcoming Palestinians, the settlers seem wary of our presence; one woman snaps photos from her car and shouts something about reporting us to the Israeli army. We are not invited into anybody’s home but instead gather in an outdoor common area to listen to a prepared speech by an American settler. He explains that a large number of settlers are from the U.S. and Europe as opposed to Israel proper, and reiterates the land’s significance to Judaism. I’d be lying if I said the Palestinians’ friendliness didn’t make it easier to sympathize with them. But as M pointed out, there is hatred on both sides—just as there are individuals desiring peace. 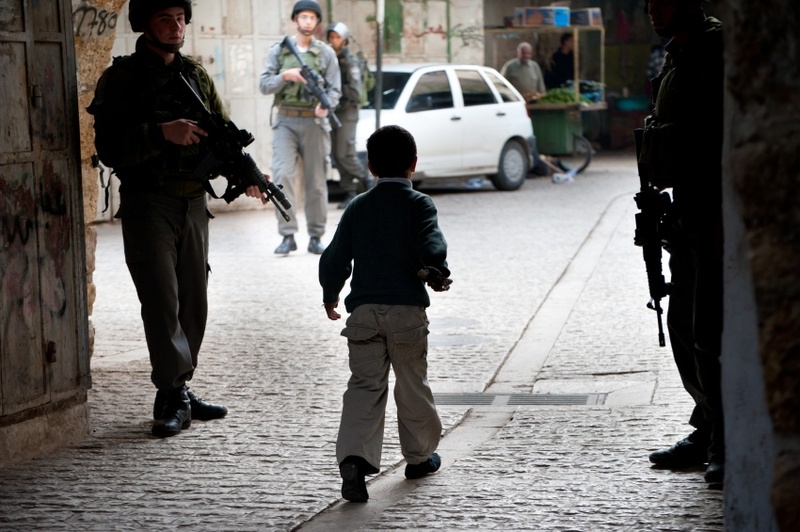 If there weren’t, then the Hebron Dual Narrative tour wouldn’t exist. One week later I’m in Haifa sharing a bottle of wine with my friend O, an Israeli medical student. He’s fascinated by my experiences in H1.